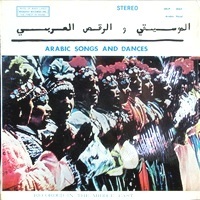 The Word: Ahlan wa sahlan (welcome)! 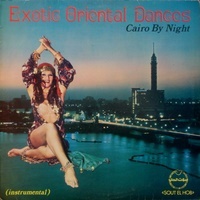 Here find the very best authentic classics by the masters (for dancers), hip/funky/psyche East-West hybrids (for DJs), and other rare, unusual, sensational LPs, many with great jackets (for collectors). 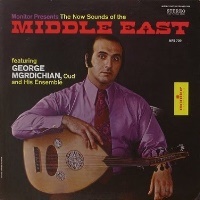 We cut our teeth in Brooklyn on this stuff, met Ray Rashid (the leading US importer/distributor of Mid-East vinyl), saw Eddie Kochak perform, etc. 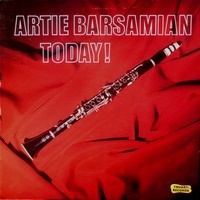 Many of these titles are the best and rarest--cause for real collector excitement, while others are the very best of the best-sellers--great values for everyone. 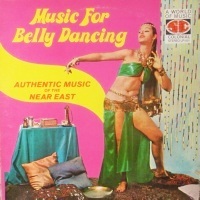 No junk, in other words. 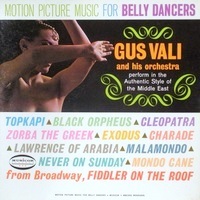 If you're a dancer or musician or have something to trade, please let us know. 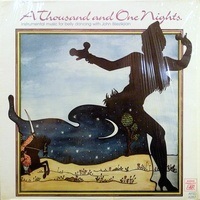 See our LP trade wants at page end, but all kinds of things considered. 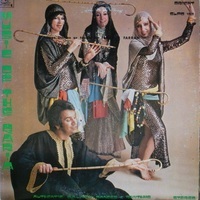 Naif Agby & the Lebanese Radio Orchestra: An Evening with Uncle Tanous; Audio Fidelity AFSD-6268; 1974; sealed S $40 -- terrific music (best of his three for the label), great jacket, very hard to find! 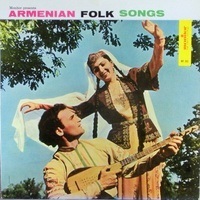 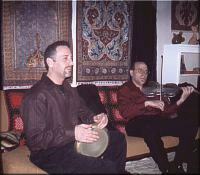 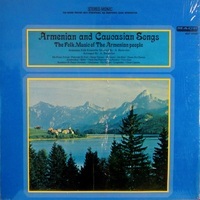 Armenian Folk Ensemble: Armenian & Caucasian Songs--The Folk Music of the Armenian People; Mace MXX-10026; N/E+ shrink ES $15 -- field recording (nearly); arr./cond. 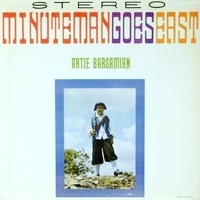 A. Bartevian; 16 cuts, 44:14 mins. 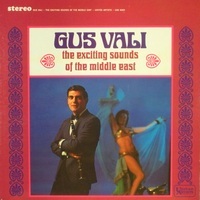 long! 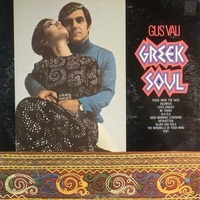 ; similar to Monitor but even rarer; nice TWA jacket photo; a top value! 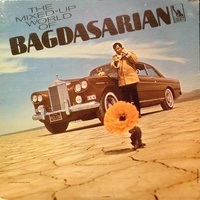 Ross Bagdasarian: The Mixed-Up World of Ross Bagdasarian; Liberty LRP-3451; 1966; promo label E/N $50 (or stock N-/N $50, specify) -- odd pop/mod Mid-East rock-jazz; historically a rock-pop collectors item (Liberty producer Bagdasarian more famous as David Seville/Chipmunks inventor) but of supreme importance to those seeking vintage Mid-East-rock hybrids; "Navel Maneuver" and "Bagdad Express" are the hip such tracks, but also there are "Armen's Theme" and "Come On-a My House" (perhaps the most famous Armenian-penned tune ever); the rest is goofy rock-novelty stuff, but good, swinging (in high mod '60s style--even some Esquivellian wordless chorus! 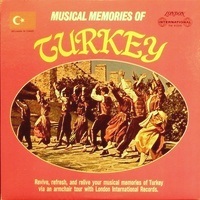 ), and often funny! 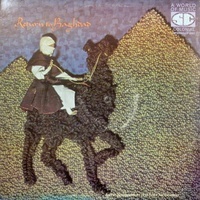 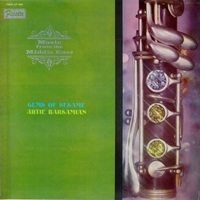 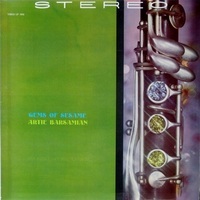 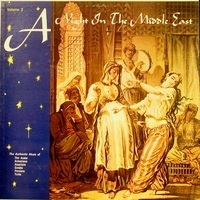 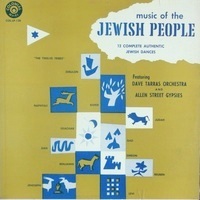 The Toraia Orchestra of Algiers: Arabian Love Songs; Request SRLP-8127; N-/N [S?] 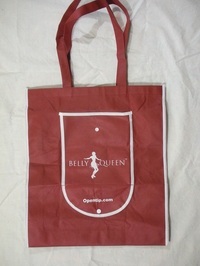 $20 (or E/N [S?] 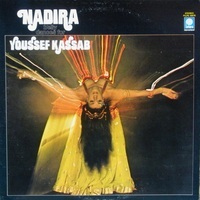 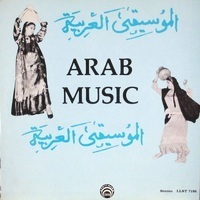 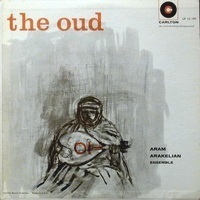 $15, specify) -- arabic vocal; excellent reissue of rare 1956 LP Music of the Arab People (Esoteric ES-547) minus one Turkish song but with new jacket art; one instrumental, the rest exciting vocals by two famous female singers in the group; excellent value! 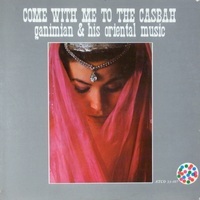 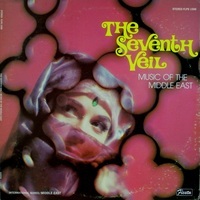 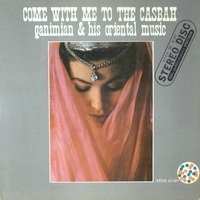 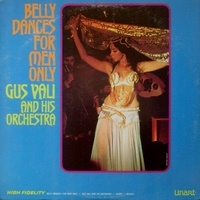 Gus Vali & his Casbah Ensemble: Belly Dances--For Men Only; United Artists/UnArt 21017; 1967; E-/N- $15 -- excellent compilation and introduction to the master; Uskudar, Doktor Doktor, Bachelerde, Delilah..
Gus Vali: Motion Picture Music for Belly Dancers; Musicor MM-2050; deep groove E+/N- $25 -- exotic, Mid-East versions of More, Charade, Topkapi, Exodus, Lawrence of Arabia, Cleopatra, Never on Sunday, Funny World (from Malamondo)..
Uncredited: The Art of Belly Dancing [With Music & Vocal Instruction]; Gateway GSLP-3527; sealed S $30 (or E/N- S $25, specify) (or V-/N- S $15, specify) -- music/instruction (spoken w/music); yes! 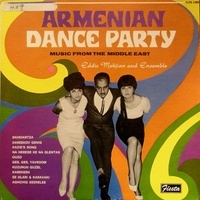 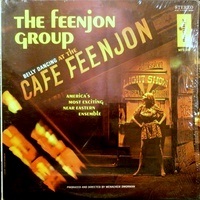 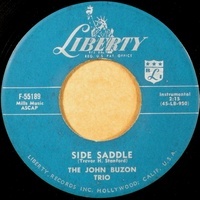 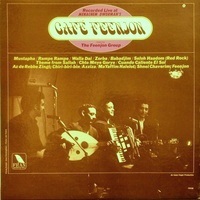 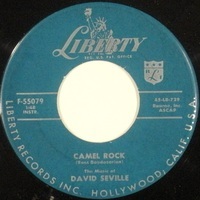 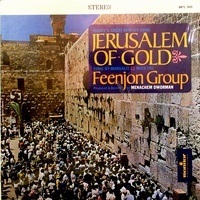 this is the LP Dee-Lite famously sampled ("We're going to dance and have some fun") at the start of their smash hit and sampling icon "Groove is in the Heart"; the whole thing is at least as great/sensational as that choice moment; unique, impelling, it's a strong favorite (like most LPs on favorite regional oddball label Gateway) for all these reasons; belly-dancer jacket and illustrated instructional liner notes; Bust Exercise, Hip Thrust & Vibration, Belly & Snake Movements..
Collectors items! 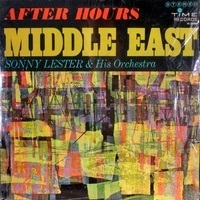 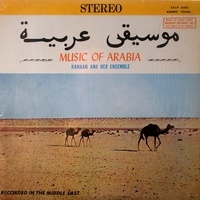 Standard, Colonial, Standard-Colonial -- our favorite US label from "Mecca East" (New England and later New York) mystifies, delights, challenges, and rewards us with some of the most intriguing, authentic, and varied music of the greater Mid-East and Mediterranean world. 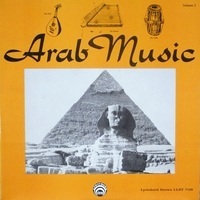 Titles may be under any of these imprints: Standard [Phono Corp.], Colonial, or Colonial World of Music. 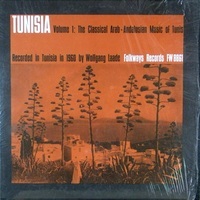 Many titles, all very difficult to find. 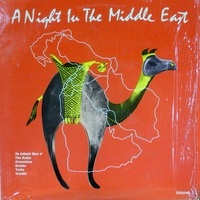 Got some already? 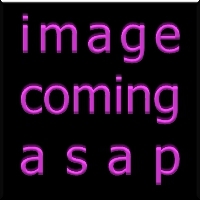 We are seeking certain titles in trade (see below) and gladly will consider other titles that we don't already have. 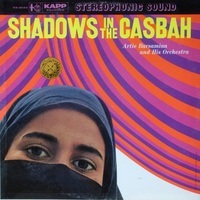 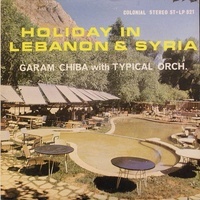 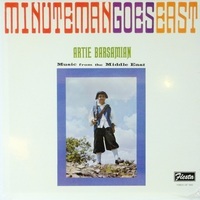 Garam Chiba with Typical Orchestra: Holiday in Lebanon & Syria; Colonial ST-LP-821; E+/E+ shrink S $30 -- we'd be thrilled just to tell you the first track is called "Ramshit" but it's a really terrific record throughout (one of our favorites on the label); the best cut is "Lebanese Dance" but there is a lot to enjoy; best of all the LP is 1st/stereo/clean, which is tough! 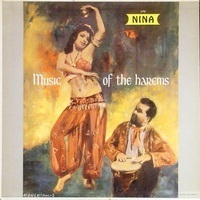 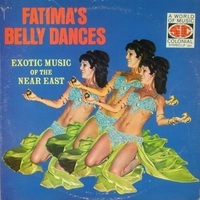 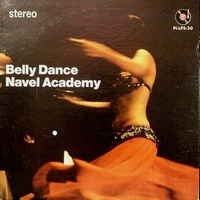 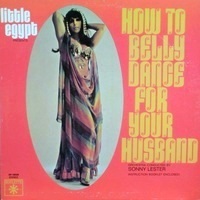 Uncredited/Hanoum Ayse's Belly Dance Music: Belly Dancers' Music; Standard 423 N/E- $30 (or N-/V- $20, specify) -- "Exotic-Fascinating-Captivating...a music roundup of the night spots featuring belly dancers"; one of the top titles on one of the best & most authentic (desirable, collectable) small US labels dedicated to Mid-East music--YOU NEED THIS!!! 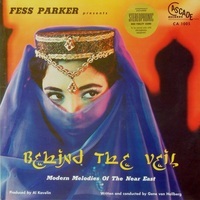 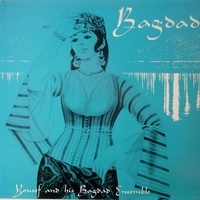 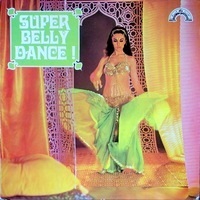 ; jacket of belly dancer posing on oriental carpet; Misirlou, Dance of Veils, Dance of Hips, Kurdish Style Dance..
Uncredited/Hanoum Ayse's Belly Dance Music: Belly Dancers' Music; Colonial World of Music LP-923; N/N- shrink S(ES?) 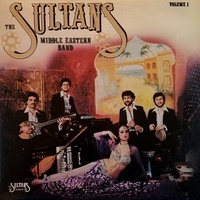 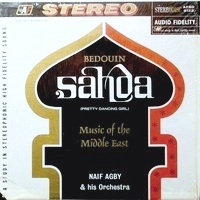 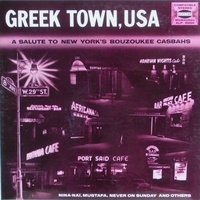 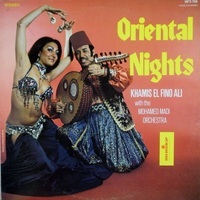 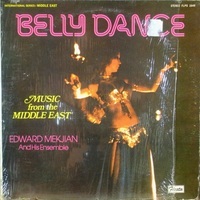 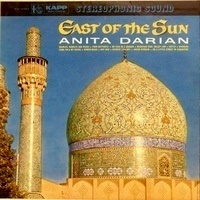 $35 -- "Exotic-Fascinating-Captivating...a music roundup of the night spots featuring belly dancers"; one of the top titles on one of the best & most authentic (desirable, collectable) small US labels dedicated to Mid-East music--YOU NEED THIS!!! 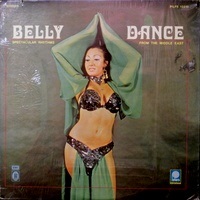 ; jacket of belly dancer posing on oriental carpet; Misirlou, Dance of Veils, Dance of Hips, Kurdish Style Dance..